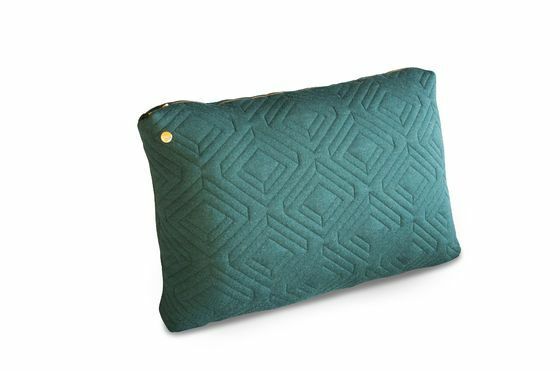 The large Quilted cushion features discreet geometric patterns. 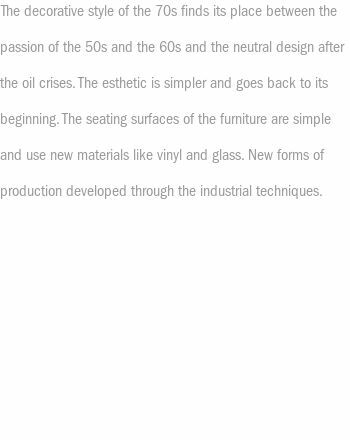 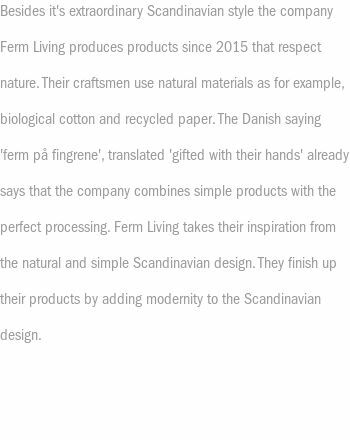 Sewn carefully, they have a classic appearance while maintaining a certain originality. 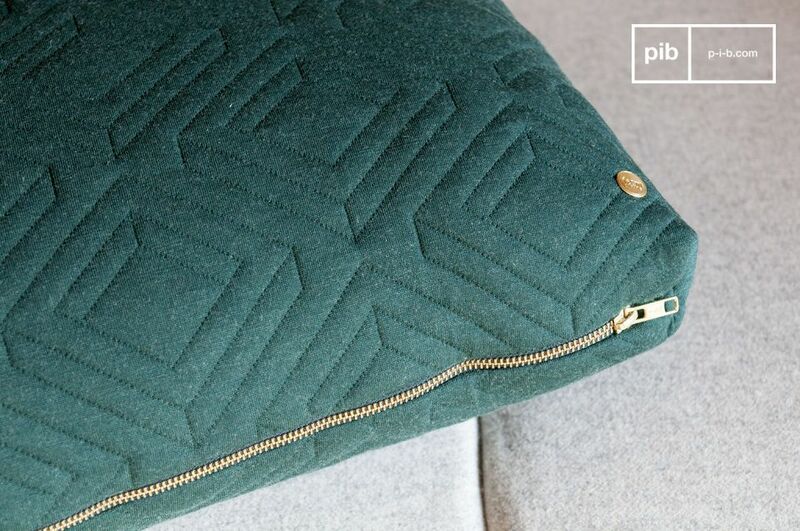 In addition to these graphic patterns, this Ferm Living cushion displays a nice contrast between the dark green of the padded fabric and the gold finish of the zipper, creating a very complementary aesthetic. 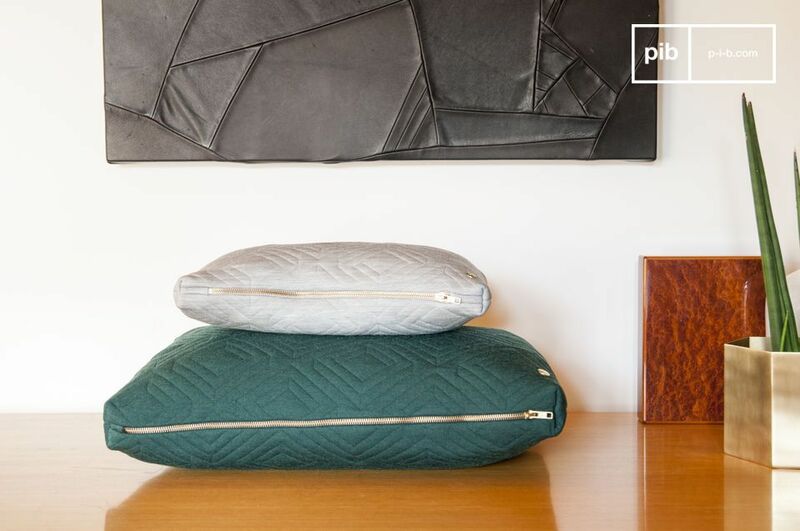 The Quilted cushion's fine finish guarantees both its comfort and its plumpness: soft and pleasant to the touch, it will easily find its place on a sofa or on a bed. 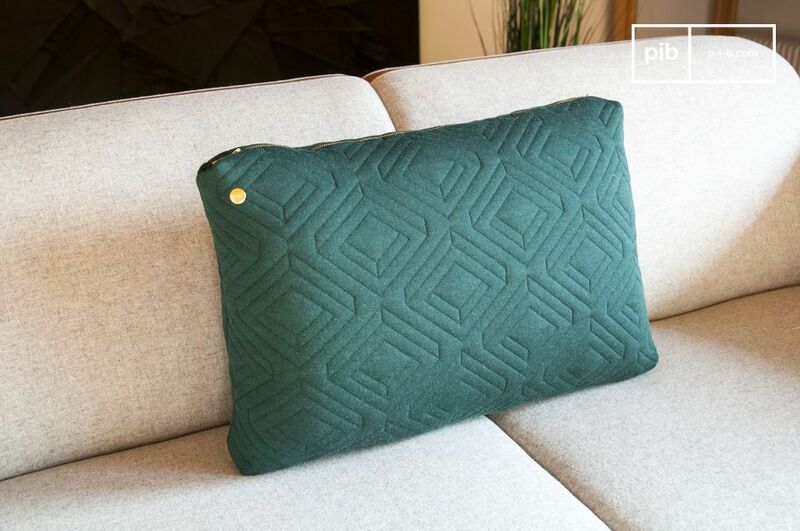 A cushion of quality, the 75% wool coating offers great softness. 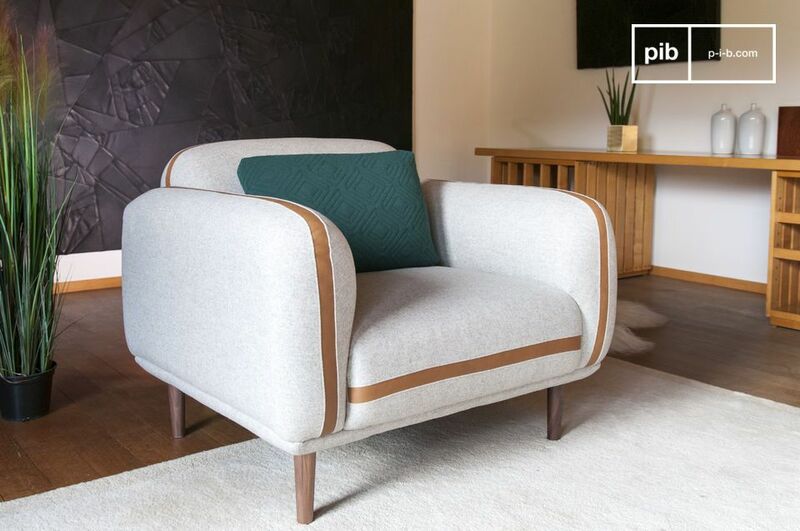 ideal to bring a touch of colour to your room.